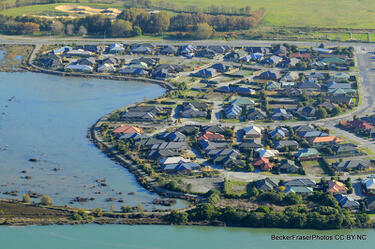 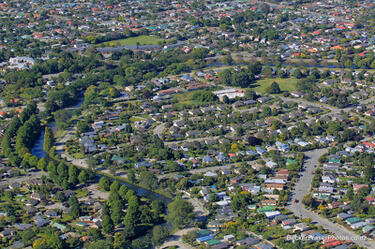 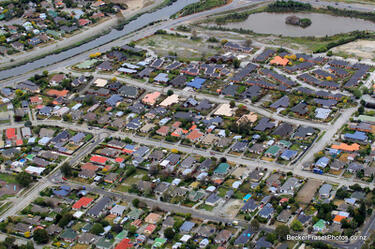 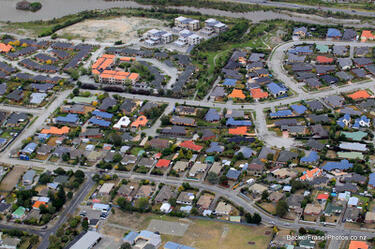 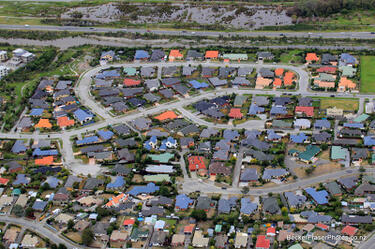 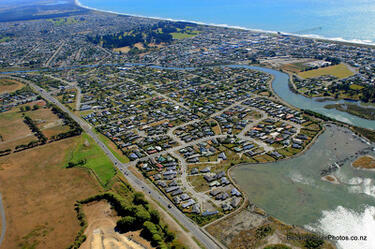 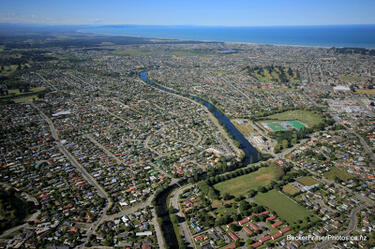 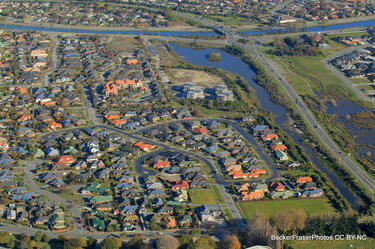 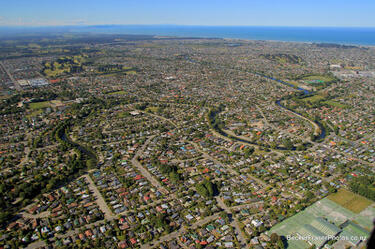 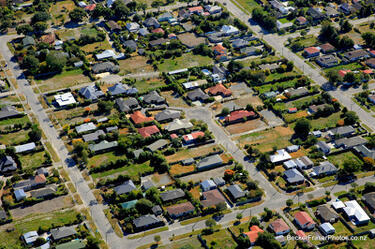 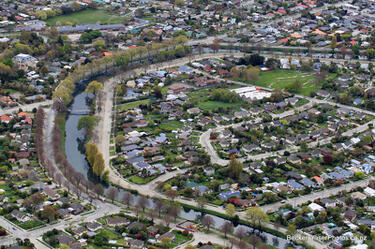 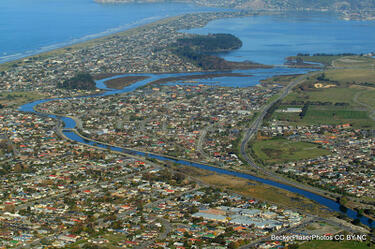 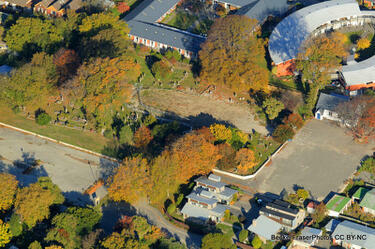 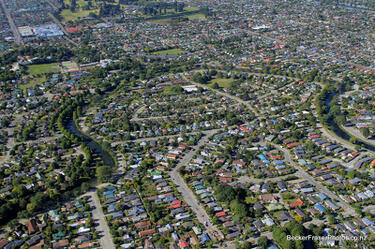 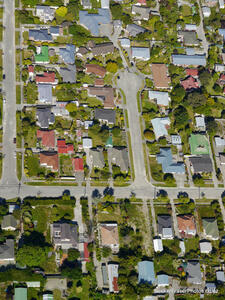 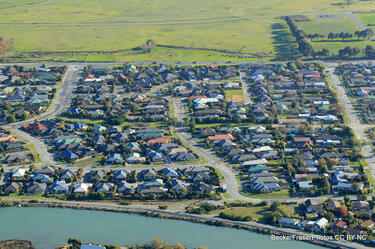 An aerial photograph captioned by BeckerFraserPhotos, "Kerrs Reach, with Porritt Park in the centre". 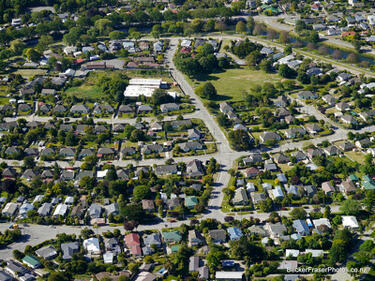 An aerial photograph of the Horseshoe Lake district. 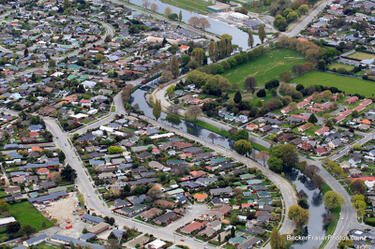 The photograph has been captioned by BeckerFraserPhotos, "The area circumscribed by a loop of the River Avon is all zoned red, except for the park at the upper left. 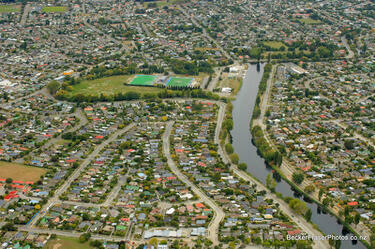 On the other side of the river, most of the land is also red-zoned apart from the piece in the upper left". 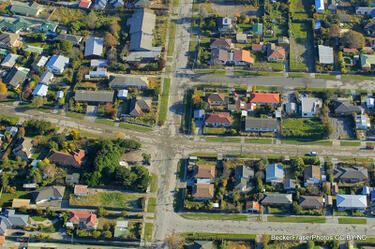 Photograph captioned by BeckerFraserPhotos, "Oran and Waitaki Streets, Bexley".